With the death of J.D. Salinger, speculation about The Catcher in the Rye being adapted as a movie is inevitable. So that got me thinking about movie adaptations that I would be excited about, but secretly dread because of the probability that they would be bad. That led to a list of ten possible adaptations that will never live up to the hype I would assign them in my brain. That, in turn, led to another list, this time of ten movie adaptations that have already been made, and are already disappointing. But I didn’t want to be completely negative, so I’ll finish with a list of ten movie adaptations that, in my opinion, really knocked it out of the park, and in some cases, surpassed whatever they were based on. I’m sure I’m forgetting some here; let me know if there is anything too obvious. Also, for the most part, I tried to include only examples where I’m familiar with both the movie and the source material (exceptions are noted). Apparently Harold Ramis tried to turn this into a movie back in 1982, with John Belushi in the lead role, but then Belushi died. That might have actually been pretty good. 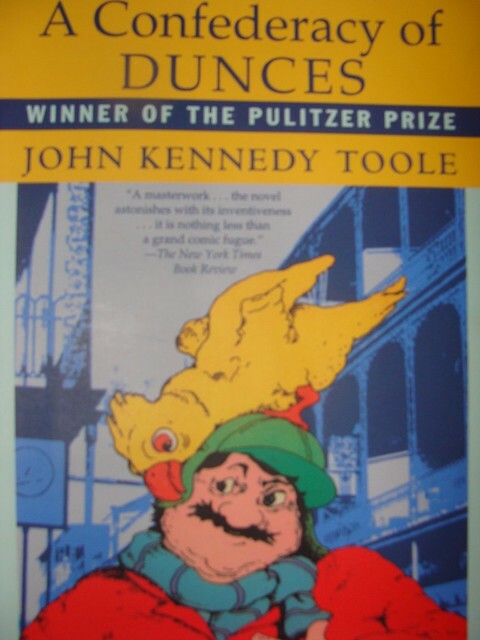 Ignatius Reilly is such a weird, delightful character that I can’t really imagine anyone pulling him off. The most recent talk has been about Will Ferrell donning a fat suit to play him. Eh. As far as I know no one is planning to turn this into a movie, but it just seems like the kind of thing that someone might try. For some reason, I picture John C. McGinley, the guy that plays Dr. Cox on Scrubs, getting cast as Tom Mota. And I am aghast at that possibility. Again, no concrete plans in place. But I guarantee there will be a movie at some point. 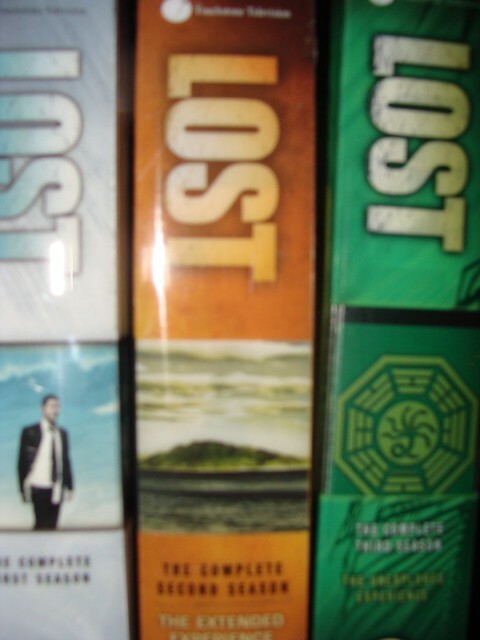 Disney is already talking about the future of Lost as a brand. But what would the movie be? I’m guessing the television finale will give us a pretty definitive ending to the current set of characters’ story. And I can’t imagine a prequel would be all that interesting. So, what happens? A new plane crashes on the island? Some might say that The Tonight Show, in its mythical, beloved form, ended years ago, when Jay Leno bashed it down into a formulaic, unfunny pulp. 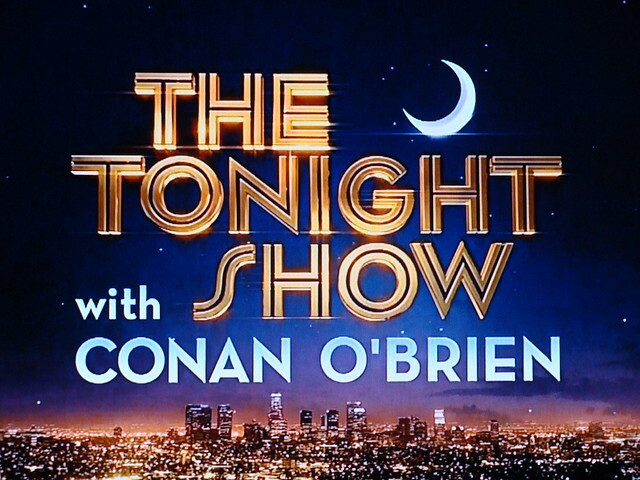 But at the very least, I think we can all agree that going forward The Tonight Show no longer really exists. The brand is sullied. No one cares anymore. And probably because I’m not old, and I never watched Johnny Carson, I don’t really care all that much, either. It never meant anything to me, really. The scene has splintered, and while some bemoan the loss of a cultural institution, all I know is that now I can watch Letterman, Stewart, Colbert, maybe even a bit of Kimmel or Ferguson or Fallon here and there. 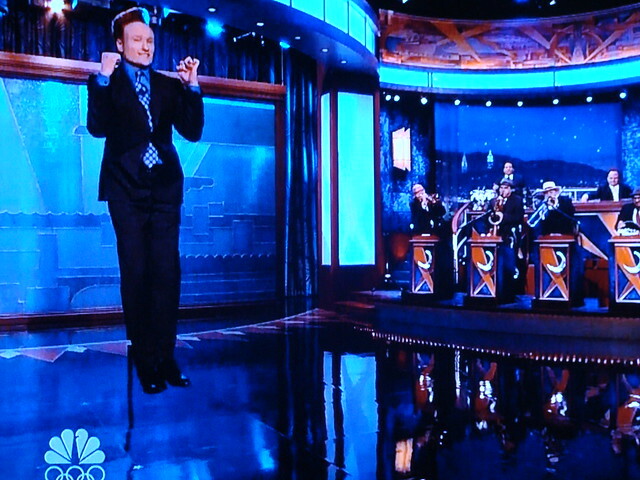 And in a little more than seven months, I’ll probably be able to watch Conan again. I have a computer. I have a DVR. The more the merrier, guys. That doesn’t mean that what happened to Conan was fair. Considering that NBC has seemingly done everything possible to undermine his ability to produce a successful show, I think he’s handled himself well throughout this. And so has Leno, in his own way; I mean, I think he’s kind of a scumbag, but I wasn’t going to watch him anyway. He’s portraying himself as a victim, and his is audience is still on his side. I have no doubt he’ll pull ratings that are higher than what Conan was getting prior to all of this mess. But his audience will just keep getting older, and advertisers won’t want to advertise for them, and the death of traditional late night television will be accelerated even more. Oh, NBC. Anyway, I thought I would do another not-at-all-live live blog with my thoughts during the last night of The Tonight Show with Conan O’Brien. Also known as probably the last night of late night television as we once knew it. I’ll put in some Hulu clips if they get posted; since NBC has continued to somewhat bafflingly put this stuff online, I have to assume they will continue to do so. I’ll also disperse a few photos I took throughout. Update: Not surprisingly, NBC has taken the videos below off of Hulu. I’m leaving the dead remnants up, though, because it seems appropriate. 11:35 – Our last time hearing this theme song, I would imagine; NBC surely owns it. My favorite Conan opening was the Late Night one where he was running around New York and eventually jumped into the river. He comes out to a standing ovation and Johanna and I both feel very sad. This game seems like an afterthought, and sort of was. I’m guessing that it’s most remembered for being the game that came with an access code for the Halo 3 beta. But it’s a game that I find myself coming back to on Saturday afternoons when I’m bored and just feel like throwing cars and jumping over buildings. Great arcade-y fun, and the orb collecting is completely addictive. I guess, according to this list, this is my favorite first-person shooter of the decade. The levels in this game are much more varied than most shooters; it sort of reminds me of my favorite FPS of last decade, GoldenEye 007. That’s also the reason that I picked this over the original Modern Warfare. Even though I don’t really play video games online (probably the main draw of this title), I didn’t mind that the single player story was pretty short. There are so many great games coming out lately that I don’t have time for all of these 30-hour epics. I don’t really play the Wii that often. Most people that own them seem to stop using them after a while. 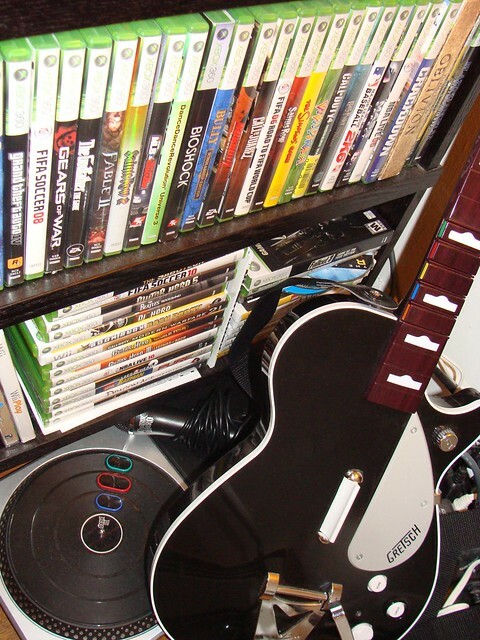 But when I do revisit the system, this is what I want to play. And everyone who plays this game for the first time wants to go buy a Wii. The most brilliant system and game bundling since the NES and Super Mario Brothers. Ah, The Golden Globes, a time for dressing up and drinking single malt Scotch. Johanna and I were on a big delay for the event, due to other activities, and also due to the fact that we wanted to be able to fast-forward through all of the commercials. Just as we were sitting down to start it I got a text from my friend Mike that, while ruining one of the winners for me, gave me the idea of (not really live) live-blogging the event. So thanks, Mike! Here are my thoughts, along with exciting updates about my winner-picking competition with Johanna (all times listed are Eastern Time Zone, and not when I actually watched it; not only did we start it late, I had to pause it every ten minutes or so to try to find the mouse that we keep hearing in our kitchen). 8:00-8:04 – A nice open from Ricky Gervais. Even if I weren’t such a big fan of his I would applaud his selection as host. He’s exactly what these things need, someone who has no interests to protect and no problem poking fun. His jokes seem to be hitting with the audience, but it’s almost like it’s canned laughter or something, because the wide shots of the big stars up front aren’t revealing too many smiles. Maybe the laughter is coming from the people in the back. Hollywood, as always, taking itself too seriously. I debated how to best represent the decade in music in list form. Eventually, I decided on songs over albums; it seemed more fitting in the era of iTunes. This list shows that my musical tastes, like my politics, are pretty middle-of-the-road. I like the most mainstream and accessible indie rock and I’m a sucker for the occasional pop song. This album has such a singular sound that it’s weird hearing Vast Aire rapping over any other production. I think that’s why I could never really get into Look Mom…No Hands. The Vast Aire verse at the end of this song is sort of the end of the golden age of underground hip hop for me, a topic that will definitely be more thoroughly discussed if I ever do a list of my favorite songs of the 90s. The best part of John from Cincinnati. Almost makes me want to check out the rest of Joe Strummer’s post-Clash career. The only song from Talkie Walkie that holds up for me. Really the only Air song that I listen to on a regular basis. Pops up on the occasional Rick Steves podcast, so that’s a plus. One of my favorite things about online shopping is the reviews. It’s nice to have other consumers like myself share their experiences with a product that I’m thinking of purchasing. It’s also fun to read reviews written by people that have very little conception of how the internet works, are confused about how a product is supposed to be used, or just have a funny way of talking that doesn’t translate well to writing. I thought I would share these as I come across them. Keep in mind that some of them might not be funny to anyone but me; I’ve found that to be the case with a lot of things in life. The rack is sturdy and I like the design, but the color was not cherry. It was much darker. Almost black. Fortunately, it is usually covered with coats. Why yes, it was helpful by making me laugh. There is really nothing wrong with GatorGirl’s review. It actually would be good to know that the wood color was not as advertised if you really want all your woods to match. The last line just cracked me up for some reason. I expected to like this book more. It seemed to have everything I usually love in novels, and received overwhelmingly great reviews. I ended up feeling a little bit disappointed; it didn’t totally click with me. It reminds me a bit of Everything is Illuminated: a relatively unknown author, interwoven storylines with different settings and time-periods, a main character with an unorthodox way of speaking, an underwhelming movie adaptation (the Oscar Wao movie isn’t out yet, so I’m just guessing). There are actually almost certainly other books that I enjoyed more than this one from this decade, but like the next entry, the list would have felt odd if I had excluded it. 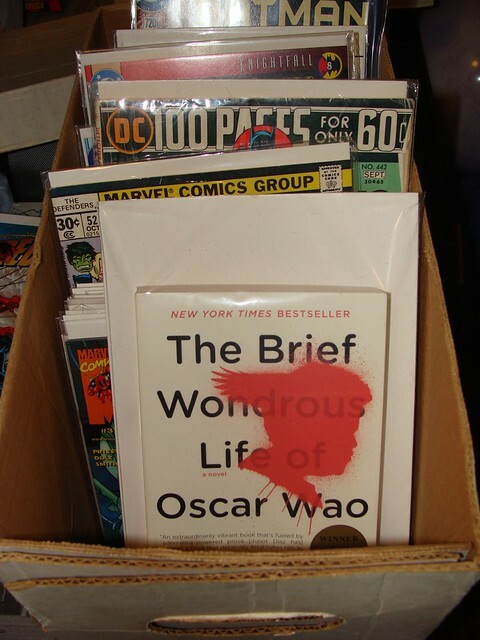 It sits on my bookshelf next to Fortress of Solitude by Jonathan Lethem in the “Disappointing books about comic book nerds that I should probably give a second chance” section. “I heard he was a fag,” said a small man with a goatee. “You mean like chicks with dicks?” someone called. Yikes, Mr. Brown. As a reader, I’m insulted, and sort of offended. I love the fact that he goes out of his way to make the prisoners seems like the world’s biggest lummoxes, yet they’re still engaged enough in Langdon’s lecture to participate, and even seem to spend their time in the yard discussing whether the Mona Lisa is actually a drag self-portrait of Leonardo. I enjoy picturing someone checking this book out from the prison library and then shaking their head in disbelief as they read this chapter. 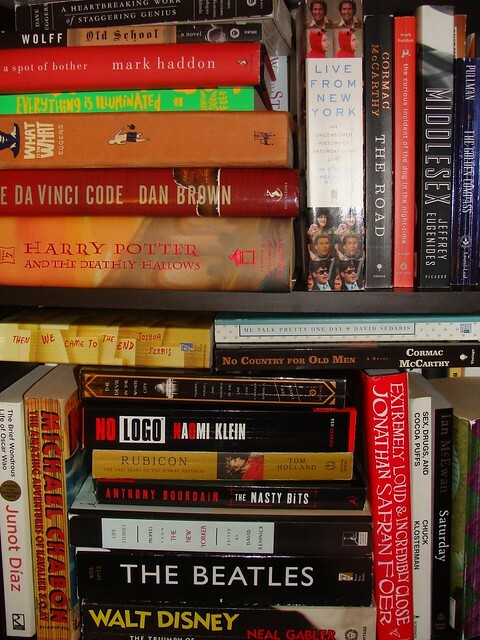 Anyway, the book is still here at number 29 because when I stop to think of the books from this decade that almost everyone I know is at least aware of, it’s basically this and Harry Potter. And that should count for something. Plus, it’s fast-paced, fun, and considerably better than most of its ilk. 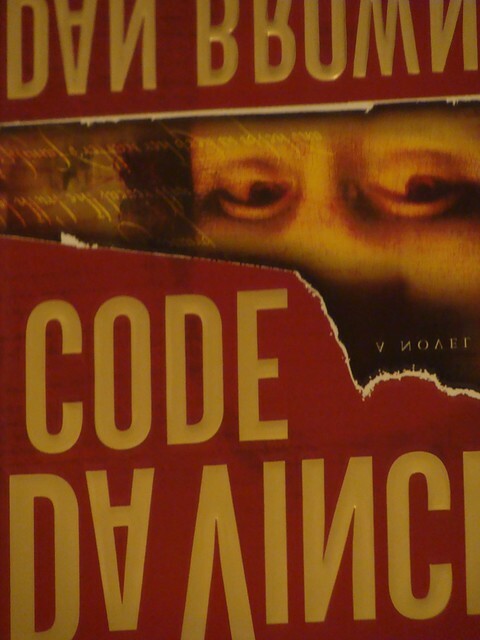 The real Dan Brown mystery is why it took him so long to capitalize on this book’s success. He took six and a half years to release The Lost Symbol, which has, predictably, sold like hotcakes, but no one cares as far as I can tell.